Within the EU, the legal dimension of trade in goods and, more recently, of trade in services have gained clear contours. This is less true for cross-border direct investments. Within the system of the fundamental freedoms, cross-border direct investments may fall within the scope of the freedom of establishment (Art 49 TFEU, 43EC), the free movement of capital (Art 63 TFEU, 56EC) and sometimes the freedom to provide services (Art 56 TFEU, 49EC). The free movement of capital has been the last fundamental freedom to be endowed with direct effect. The investment potential of Sovereign Wealth Funds makes this a very topical subject. The ECJ has started to develop the full potential of the free movement of capital and the freedom of establishment only recently. This has raised a number of important new questions, including how the two freedoms relate to each other, and how to balance the individuals' rights to market access with the Member States' competence to regulate in the public interest. In particular, the use of state measures to protect strategic or alleged public interests selectively, or to foster national champions, will be considered. Under settled case law, it suffices that a measure renders the exercise of the freedom 'less attractive' to find an infringement of the free movement rules. Potentially this opens the door for a broad review of the appropriateness of all non-harmonised mandatory rules contained in general national laws. There is also a general question of when free movement of capital and freedom of establishment may have horizontal effect, a matter raised by the Viking case. Horizontal application of the fundamental freedoms could lead to the exercise of control over private arrangements in many areas, including company law if they have a tendency to impede, or dissuade, market access by investors from other Member States. The particular situation of third country investors also has to be considered, insofar as they may benefit from the free movement of capital but not from the establishment and services freedoms. Recent developments in EU company law are discussed, notably those concerning simple cross-border relocation of businesses as well as those regulating take-over and mergers. 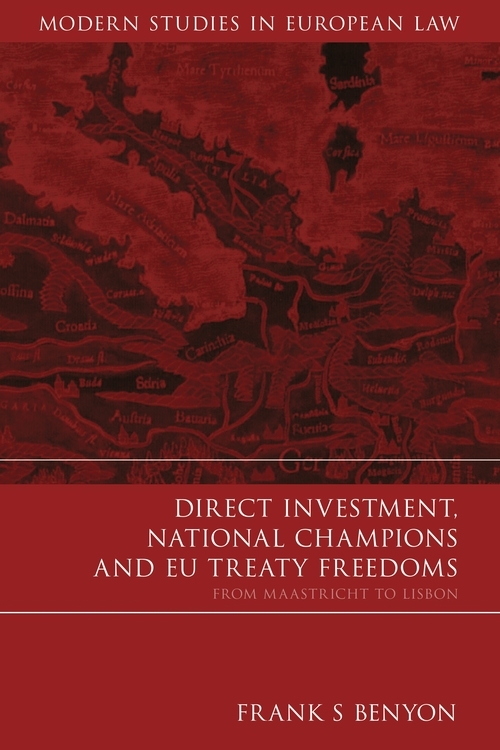 Overall the book analyses the role of the market and the role of the state with regard to direct investment, delineates the competences of the EU and the Member States in this field and places the debate in the larger context of international direct investment. 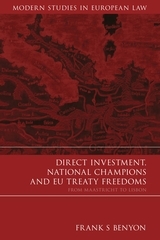 Focussing on recent developments, cases and debates, the book also looks at the changes made to the applicable rules by the Treaty of Lisbon, including the inclusion of foreign direct investment into the Community's trade policy, thus providing an overview of this cutting-edge issue and a reflection on the rationales that should guide the evolution of this field of law. A. Direct Investment – A Treaty Freedom? D. Who is Competent to Introduce Restrictions on Investment? 4. Justifications of Restrictions to the Treaty Freedoms: For National Champions? For Network Industries? For Others? II. The Establishment Chapter or the Capital Chapter? “On reading the book, one realizes that the author has a solid understanding of EU investment law as a discipline that interacts with many other areas of EU and international law, such as freedom of movement of capital and freedom of establishment, competition law and company law. The book explains issues from a theoretical point of view, but illustrates its positions and hypotheses through extensive EU case law. Within this context, the book gives the reader an idea of the issues that most investors, academics, governments and law-makers from EU and third countries are currently discussing and regulating. ...the book is to be recommended; it is easy to read, it is complete, it is straightforward and it raises a number of timely issues. 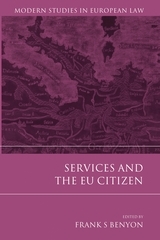 The book is also a good guide to EU cases on the subject, given its variety and extensive treatment. Its reflections will certainly be of use to all concerned with investment now and in the future.